A number of research projects started in the past have suffered from always feeling “unfinished” - particularly the long term projects which have involved peoples’ life stories. Some remained unfinished because the research seemed to hit a brick wall. In several cases I put in print what I had been able to find out but had to admit there was more to know. In 2017 some of these brick walls seemed to crumble. New information was coming to light with exciting results. 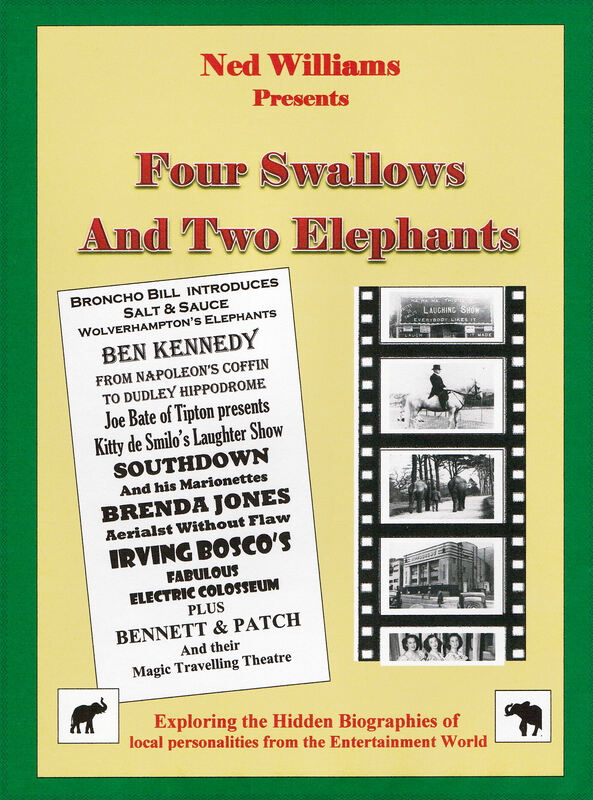 All this has led to the production of a book called “Four Swallows and Two Elephants” and this book will be launched on Saturday 27th October 2018 at the Light House Media Centre in Wolverhampton at noon. It’s not a book that falls into any clear category but it mixes local history with family history on the fringes of the world of entertainment. If you like watching “Who do think you are?” on TV, you may like this book. It looks at seven people who have been difficult to research because an element of mystery has surrounded the names by which they have been known. First of they had to be properly identified and then their story had to be told to the point where it seemed “complete”. The world of entertainment that these people inhabited involved, circus (250 years old in 2018), the funfair, early cinema, and theatre. Their lives criss-crossed the Black Country in a world and way of life that has now vanished. Naturally I recommend the book to you!